David W. Dodick, MD, FRCP (C), FACP, is Professor of Neurology at the Mayo Clinic College of Medicine and a consultant in neurology at the Mayo Clinic, in Scottsdale, Arizona. He is the Program Director of the Mayo Clinic Neurology Residency Program and Headache Medicine Fellowship Program. He is the Medical Director of the Headache Program and the Sports Neurology and Concussion Program at Mayo Clinic in Arizona. He is an Adjunct Professor and International Chair of Headache in the Department of Neurosciences, Norwegian University of Science and Technology. Dr Dodick is board certified by the Royal College of Physicians and Surgeons of Canada and the American Board of Psychiatry and Neurology (ABPN). He also holds United Council for Neurologic Subspecialties certification in headache medicine and ABPN certification in vascular neurology. Dr Dodick has authored more than 320 peer-reviewed publications and authored/edited 10 books. He is the Chair of the Sports Concussion Conference Workgroup of the American Academy of Neurology and a member of the AAN’s Annual Meeting Committee. He is on the editorial board of several journals including Lancet Neurology, Postgraduate Medicine, Headache, and Cephalalgia. 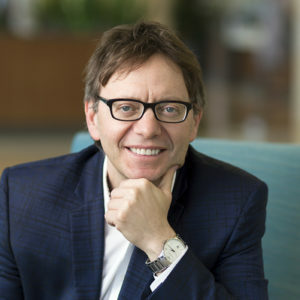 He is President of the International Headache Society, Chair of the American Migraine Foundation, Immediate past-Editor-in-Chief of Cephalalgia, and Past-President of the American Headache Society.